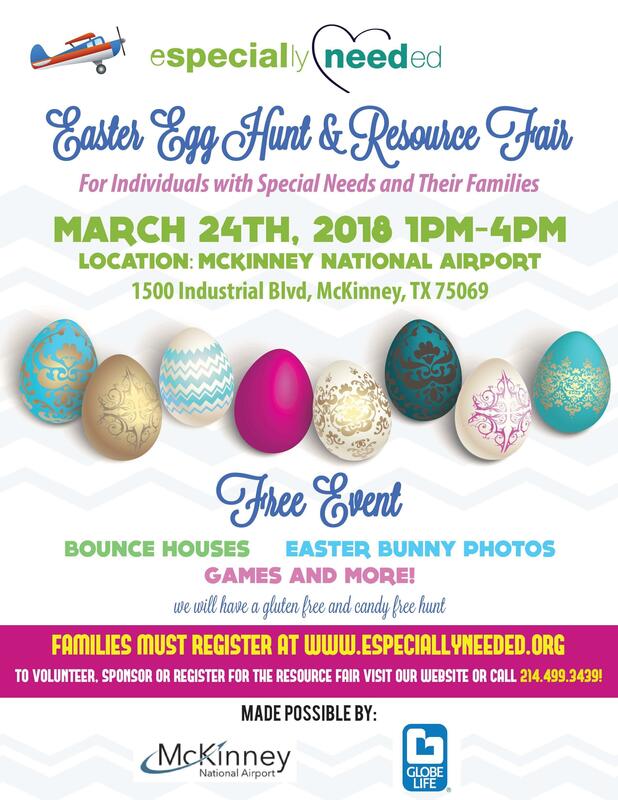 Register Today for the Especially Needed Easter Egg Hunt and Resource Fair on March 24th from 1-4pm at the McKinney National Airport. This is a Free Event for individuals with special needs and their families. Families must register at www.especiallyneeded.org to participate in the Easter Egg Hunt. Stop by and see us at our VIVA Pediatrics booth and get your picture taken with the Easter Bunny too!!! We can't wait to see you there.